Happy Anniversary J & R! 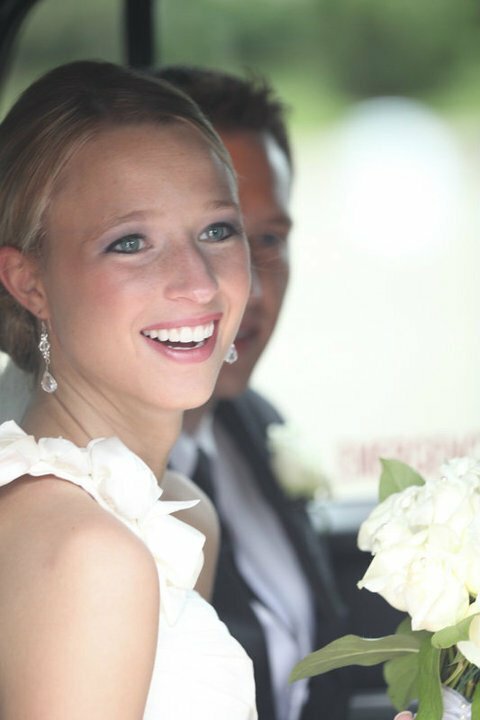 One year ago today, the whole family was dolled up & celebrating the marriage of my sister Jenna and her hubby Ross! This was such a special day because not only is Ross a great guy, but my mom was able to attend the wedding and the reception. The day could not have been more perfect. I remember when my mom got sick she was sad because she thought she would never see Jenna get married and other such milestones. 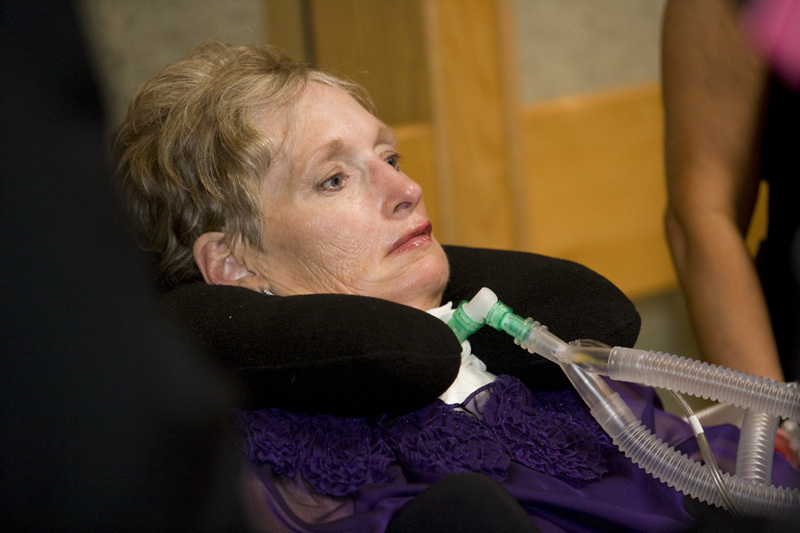 In fact, if she hadn’t chosen life on a ventilator, she probably would not have been there. 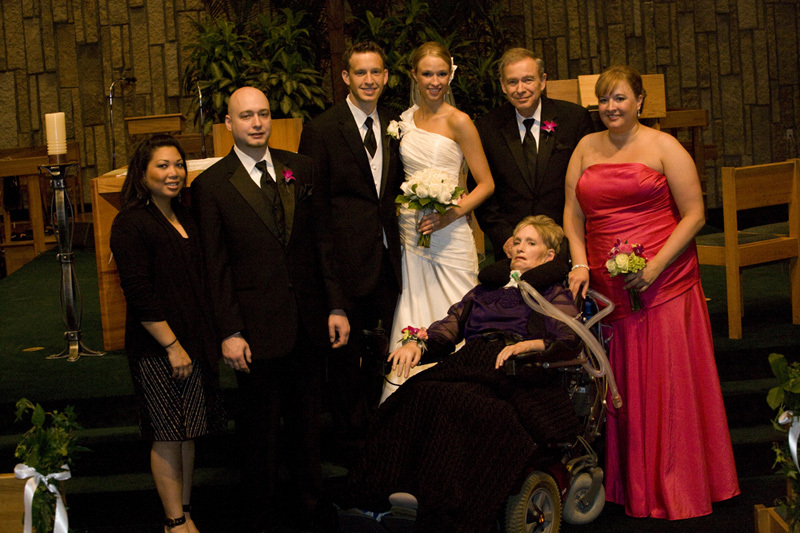 I know my sister’s wedding day meant so much to our mom. And it also made me very proud of all that she has endured and keeps fighting. I cannot believe that a year has passed since that day! Happy Anniversary Jenna & Ross!!! Jenna placing mom's corsage on her. This past week went well for our family. I don’t have anything overly exciting to report. I had a couple of fun nights out with my friends. Today my mom and I went for another walk around our favorite pond area. It was extremely humid…but still nice. My mom and I have just started reading “The Other Boleyn Girl” out loud. This is my 3rd time reading it & my mom’s first. It is so juicy and scandalous. She is loving it! It is nice to have an enticing book to read when we are stuck in the house due to rain. Thank you checking in with us at alschangedmylife.com! I look forward to writing more later in the week! Prayer for Julie: Pray for continued peace from her anxiety & body sensations. Things are still going well! So wonderful to see the beautiful pictures of Jenna and Ross again. It was such a beautiful day! Sending Happy Anniversary wishes and love!